It was necessary to achieve integration without negatively impacting NIFA’s grants customers through disruption in service due to loss of data or unavailability of systems. FedSoft accomplished this task by October 1, 2011, just in time for the beginning of FY2012. The first transmission, which was half of NIFA’s 2011 grant data had a 91% success rate with only 9% of the data requiring manual correction. Two months later, after NIFA corrected the initial 9% of problem data, the other half of the data was transmitted with a 100% success rate. This amounted to more than 40,000 transactions and $1.34 billion in successful postings. NIFA continues to rely on FPA as a mission critical component between its grants and financial systems. FedSoft has a proven track record with enterprise-class custom software development. This record of excellence comes honestly after years supporting complex organizations in the public and private sectors. We can increase your return on investment by integrating open source technologies with your existing legacy systems or by loosely federating disparate systems. If necessary we can completely re-architect your environment. 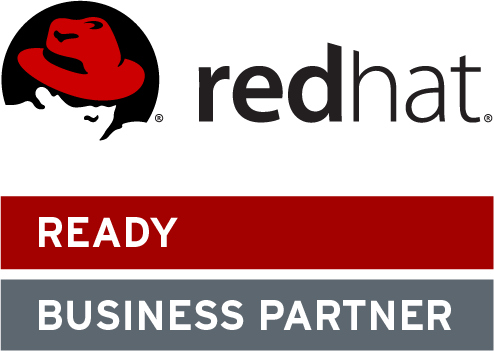 As a Red Hat Ready Business Partner and with staff that are Scrum and PMI certified, you can rest assured that FedSoft is proficient with the practices industry relies upon to develop and maintain world class business software. We believe that accurately and fully identifying requirements is the single most important part of software development and leads to the highest degree of satisfaction in the final product. Coding, testing, and implementation all hinge on correct requirements development. We are also cognizant of the fact that no two organizations are alike when it comes to their culture or project scheduling demands and these variables impact the ability to comprehensively obtain requirements well in advance of development. Because of these factors, we tailor our approach to each organization’s unique needs. FedSoft follows a rapid, iterative development approach (Agile Scrum). The objective is to deliver solutions in the shortest possible timeframe without taking any shortcuts and while controlling and adapting to changes in scope. If an organization is projectized or strongly matrixed with systems that cross functional areas and has time to prioritize process improvement in advance of requirements definition, we prefer to take a more traditional and formal JRD/JAD approach. This approach integrates well with waterfall development. If an organization has a functional structure with identified stakeholders or is more comfortable with an “organic” approach to systems development because needs aren’t completely clear or well defined, we prefer to follow a more progressive, iterative “sprint” model of definition and development. This approach integrates well with agile development. Unifying both development approaches is the necessity of designing and building security into each application and the importance of performing quality assurance and user acceptance testing. These critical aspects ensure that the features provided by the final product are traceable to each and every functional requirement, perform in accordance with expectations, and protect sensitive and private information.